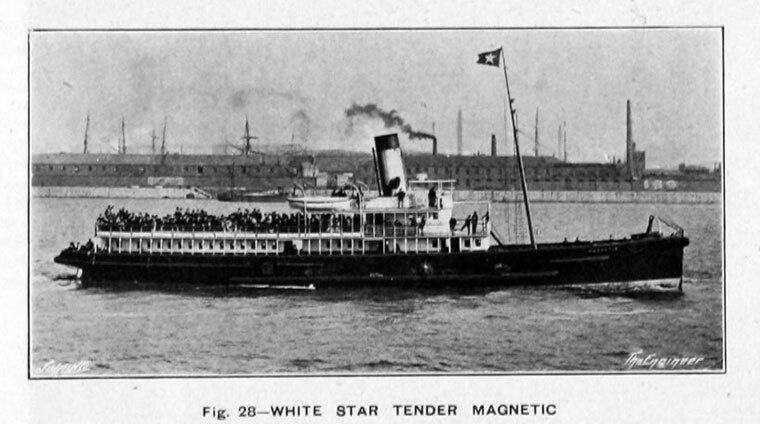 1910.White Star Tender Magnetic.Built by Harland and Wolff. 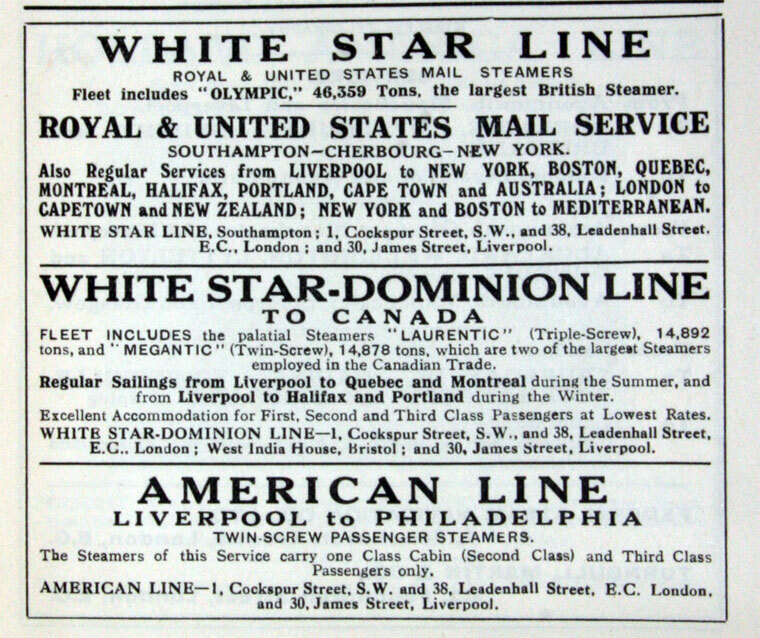 1910.Progress of White Star Steamers. 1930. 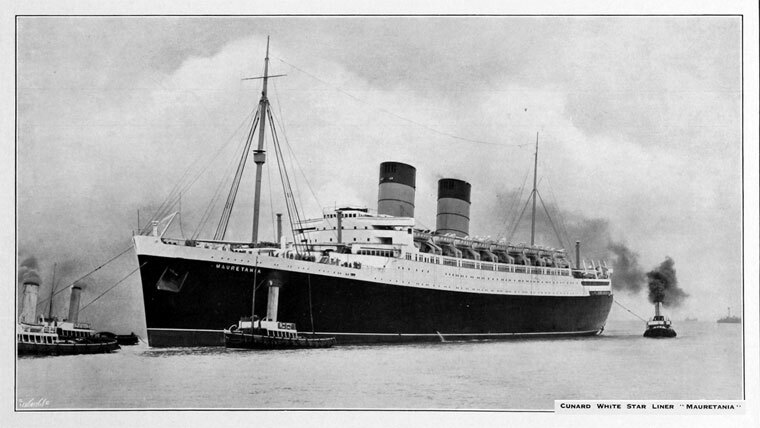 White Star Line Motor Liner SS Britannic. 1938. 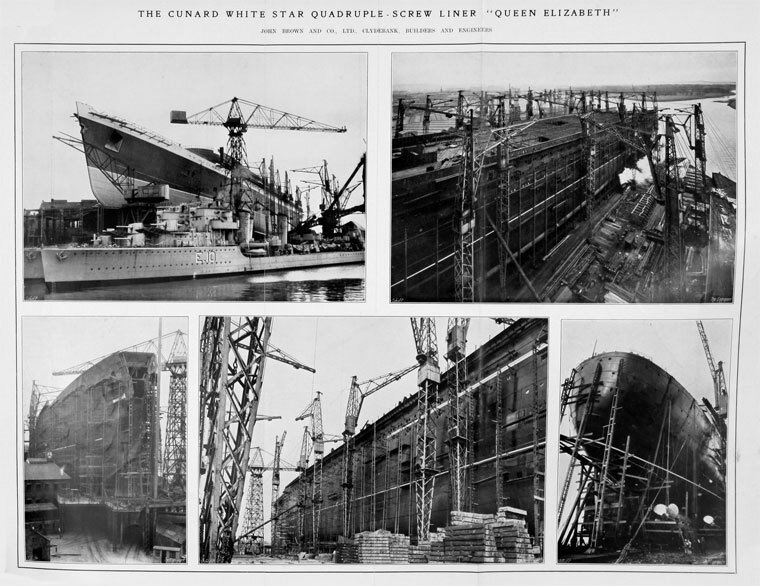 Queen Elizabeth. John Brown and Co.
1938. Queen Elizabeth Deck View. 1938. 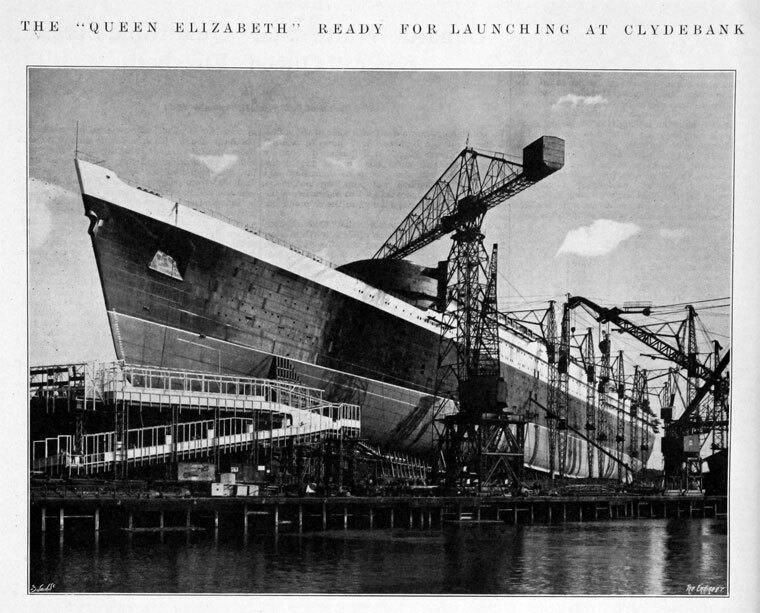 Queen Elizabeth Launching at Clydebank. 1940. Queen Elizabeth. John Brown and Co.
1845 The White Star Line (or Aberdeen White Star Line) was founded in Liverpool by John Pilkington and Henry Wilson. The aim was to provide a service to Australia, serving the gold rush. Pilkington and Wilson initially leased and chartered ships; as business increased, they would purchase the vessels. The first ship purchased was the 879-ton clipper ship Iowa. 1853 Wilson's daughter married James Chambers. 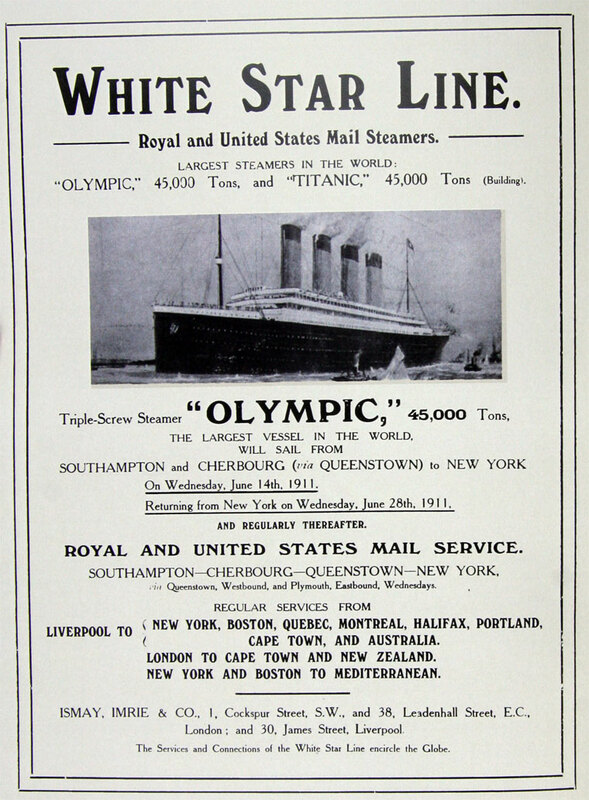 After a while Chambers became a partner in the White Star Line. The original clipper ships eventually became over-strained and slow. 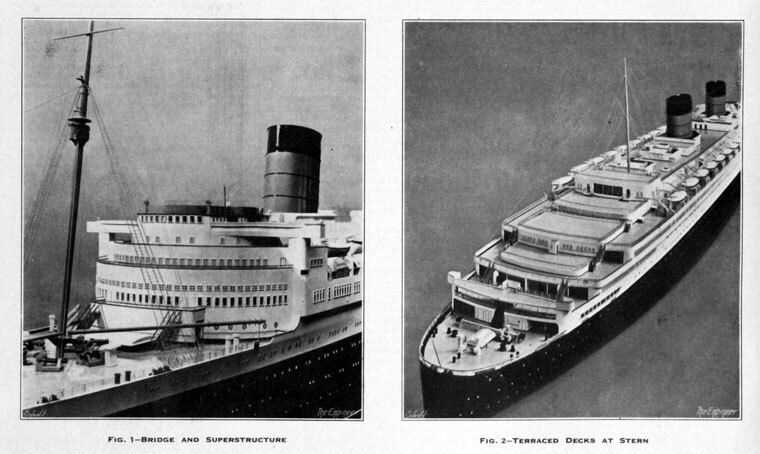 Chambers realized that they needed newer and faster vessels. 1861 Pilkington decided to retire; Henry Wilson took on a new associate, John Cunningham, who became a large shareholder. Henry Wilson involved himself in other interests but continued as ship broker, purchasing ships for White Star and retaining a 51% ownership in the stock. 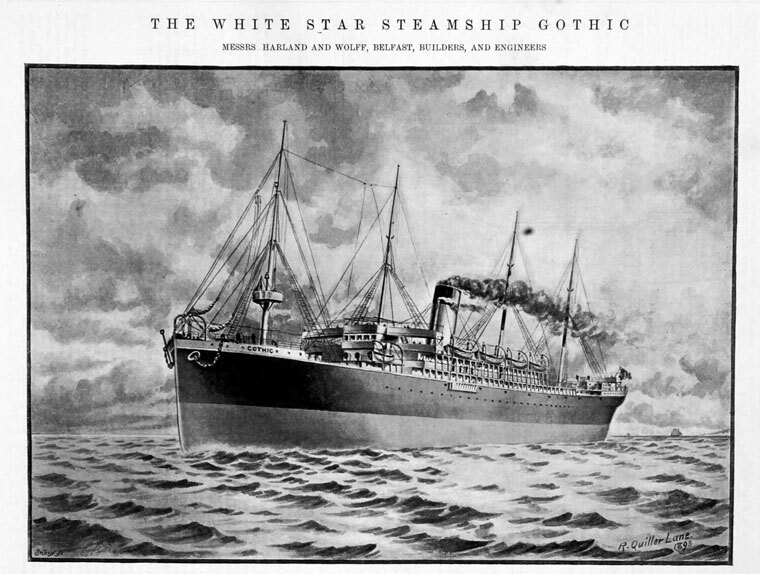 White Star Line purchased its first steamship, the Royal Standard but it was underpowered and did not prevent the business running down. 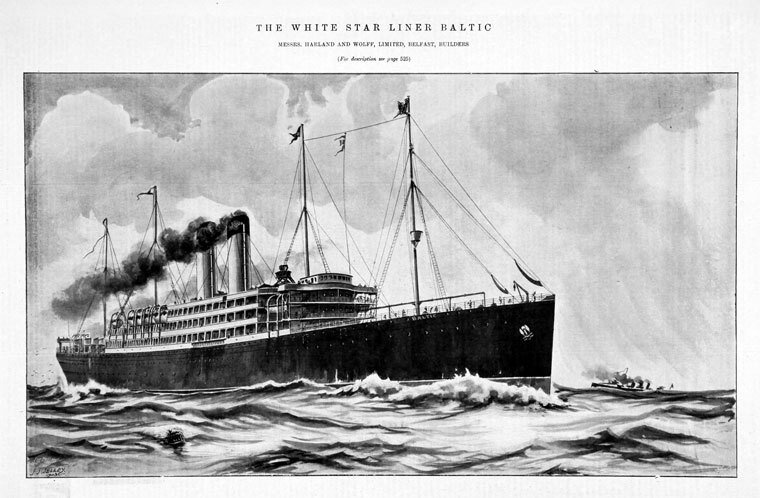 The White Star Line was separated from the group; the Royal Standard was put onto the North Atlantic run from Liverpool to New York. 1867 Wilson mortgaged assets in an attempt to expand the fleet but the Royal Bank of Liverpool then went down, revealing that the Line owed £527,000. 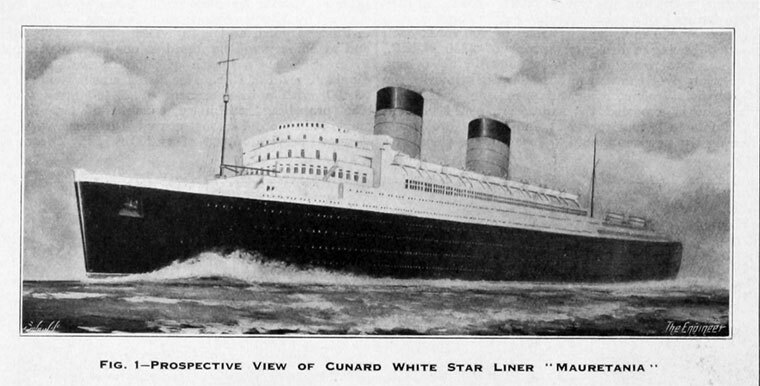 White Star Line was now facing bankruptcy. 1867 T. H. Ismay purchased the White Star Line, putting his own iron ships into the Australian clipper trade. The purchase included the flag design with a white star on a red ground. By 1868 Messrs. Ismay had embarked upon a policy of larger ships. With the financial assistance of Alexander Stephen and Sons, the shipbuilders, who took a share in the vessel, they built the Comadre, an iron sailing-ship of 805 tons and 185 feet in length, which was followed, in 1869, by the composite-built barque Singapore. 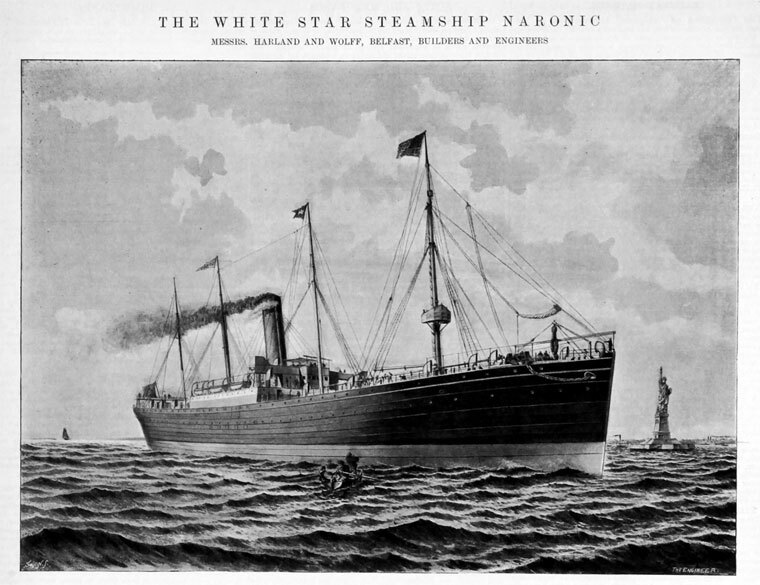 1869 Soon after he purchased White Star, Ismay formed the Oceanic Steam Navigation Co; he held the controlling interest in it but one of the shareholders was a good friend and fellow-apprentice, William Imrie Jr. Imrie had inherited a small shipping company from his father. The two became partners and merged their companies as Ismay Imrie and Co. Ismay, Imrie & Co became a subsidiary division of the Ocean Steam Navigation Company. Ismay ran the steamers under the White Star flag. Imrie ran the sailing vessels under the name of North West Shipping Company. The Oceanic Co was also backed by Gustavus Schwabe, a Liverpool merchant, on condition that all their ships would be ordered from Harland and Wolff (Schwabe's nephew, Gustav Wilhelm Wolff, had recently joined with Edward James Harland in the shipbuilding business in Belfast). 1871 they began running their steamers regularly between Liverpool and New York on the north Atlantic passenger trade. 1873 The Atlantic was lost off the Nova Scotia coast. 1875 Acquired the Britannic and Germanic which shortened the voyage across the Atlantic to less than eight days. 1878 Ismay placed his firm's steamers at the disposal of the Admiralty as transports or cruisers in the light of threats from the Russian fleet. 1898 Norman Shaw was architect of the White Star Line's grand head office in Liverpool which was opened in 1898. By 1899 the fleet tonnage had increased to 164,000 tons. 1899 T. H. Ismay died and was succeeded by his eldest son, Joseph Bruce Ismay (1862–1937), as chairman of the line. 1905 White Star Line and Shaw, Saville and Albion took joint control of Aberdeen Line. During this period the White Star Line reached its apogee in the building of the giant liners RMS Titanic, RMS Olympic, and RMS Britannic. 1912 The sinking of the Titanic on 15 April 1912 was a traumatic event. Ismay survived but was pilloried by the US press; he was cleared at the official inquiries. Ismay ordered that there must be enough lifeboats for everyone on all his firm's vessels from then on. 1913 Ismay retired from White Star. 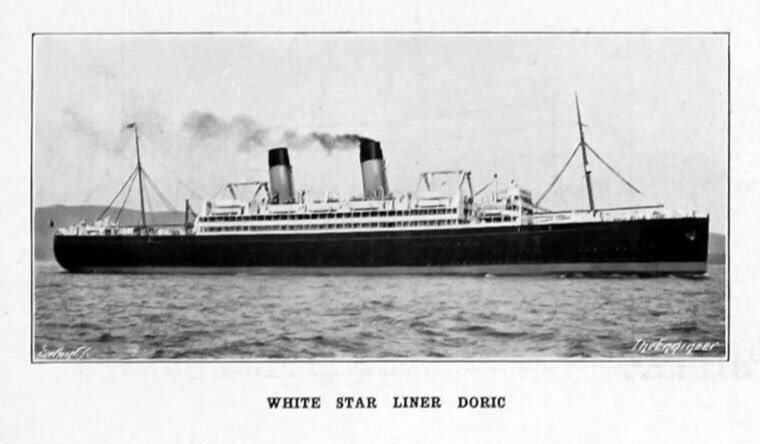 1926 The shares of The White Star Line were now held by the International Navigation Co which was controlled by the International Mercantile Marine Co of New Jersey. 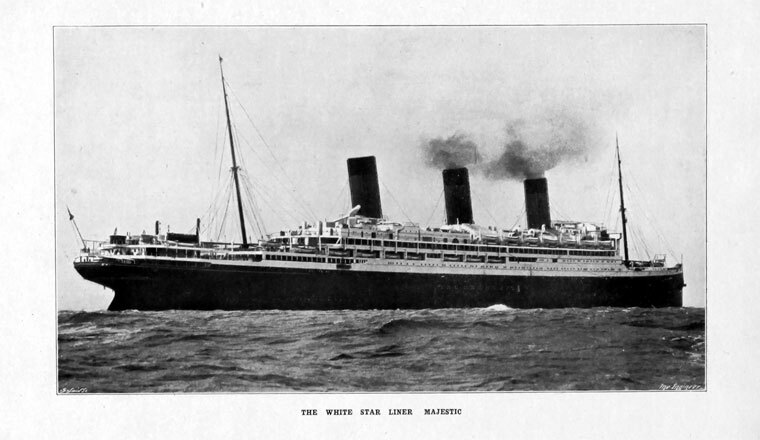 The fleet of The White Star Line now comprised of some twenty-four liners, including the RMS Majestic, RMS Olympic, RMS Homeric and other famous vessels, which were engaged in the North Atlantic, Australian, and New Zealand trades. 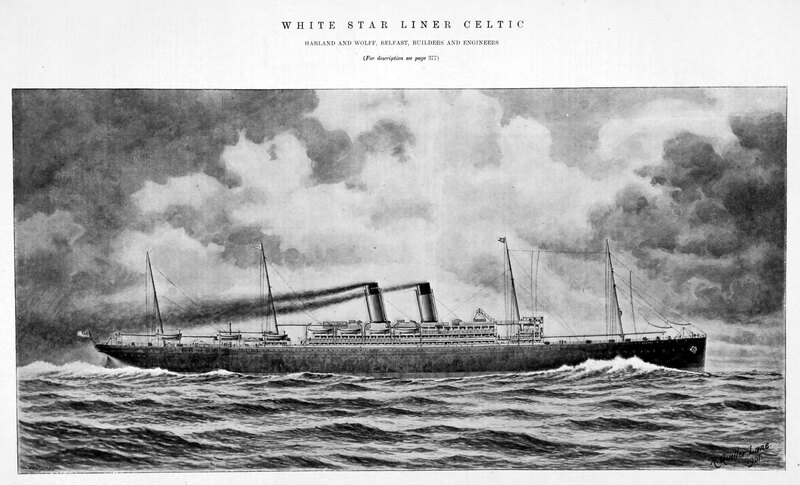 The White Star Line obtained a controlling interest in George Thompson and Co, managers of the five liners of The Aberdeen Line. 1927 Acquired by Owen Cosby Philipps who was chairman of Harland and Wolff to provide contracts for liners; continued trading under its own name. 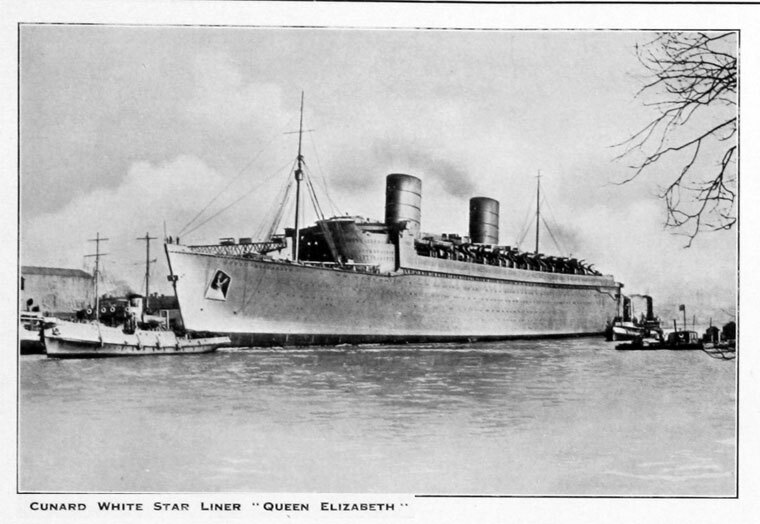 1928 White Star Line purchased the Australian Commonwealth Line and its fleet and placed it under George Thompson's management, a group with which the company had been associated in the Australian trade. 1931 the Kylsant shipping group, which owned White Star Line, collapsed. 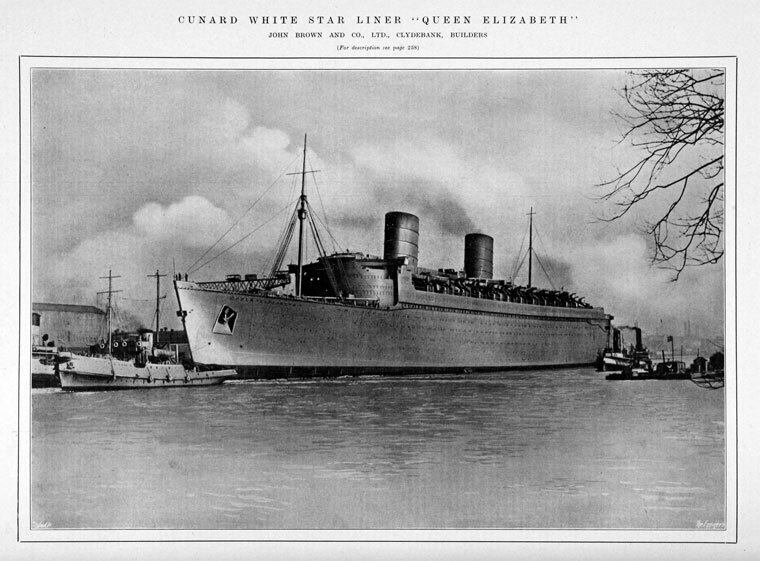 1934 White Star Line was rescued by merging with the Cunard Steam Ship Co under the name Cunard White Star Line, which was changed to Cunard Line in 1950.